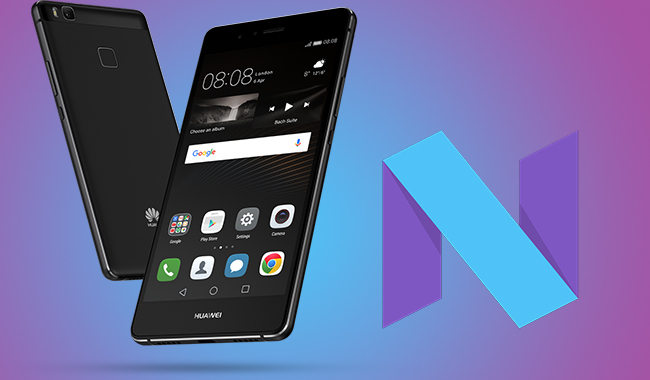 The EMUI 5.0 firmware update based on Android 7.0 Nougat is available for Huawei P9 Lite. The Nougat update comes with a revamped UX, new notification features, bundled notifications, new Doze Mode, and more. Huawei P9 lite is 5.20-inch device with resolution 1080×1920 pixels. P9 comes with Processor 1.7GHz octa-core along with 3GB of RAM and 16Gb ROM. It has 13MP Rear Camera and Front Camera is 8-megapixel. It comes running Android 6.0 Marshmallow. We are responsible for any damage happened to your Device while following this tutorial, Proceed at your own risk. However, it is highly unlikely if you’ll follow the instructions carefully. Backup everything you have on your device. Ensure that your device has charging more than 60%. Manually updating your Huawei to Android Nougat is quite easy. 1. Download the OTA Update Zip file with respect to your device Variant. 2. Now, Rename the downloaded file to update.zip. 3. Extract the contents of the zip files you downloaded. 4. Create a folder named “dload” in the root directory of your device’s SDcard. 5. Then Copy all the extracted contents of the zips into the dload folder. 5. Select Project Menu > Software upgrade > SDcard upgrade > confirm the installation. 6. The installation of the firmware will begin and once it’s done your device will automatically be rebooted. Go to Settings > About phone > System Update, and then select Local Update. Give the downloaded update file’s location on the next screen, installation will start automatically. Reboot your device, first boot up may take a little longer than usual. So, now your Huawei will be Running Android Nougat, if you’ve any queries reach us via comment box. Thanks!